The work of David Wander that caught Betsy’s eye is pictured at above. 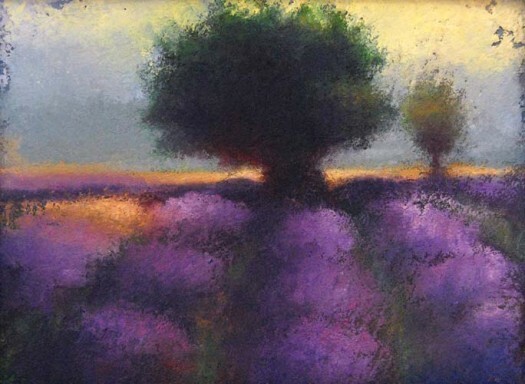 It is titled Lavendar Field. The small oil painting (13.5″ X 17″) was on display in the window of the Sande Webster Gallery, 2006 Walnut Street, in Philadelphia. As Betsy tells it, it was love at first sight, and she felt an overwhelming desire to enter the gallery and purchase the piece. It now occupies a prominent place in the piano studio.